Hi! 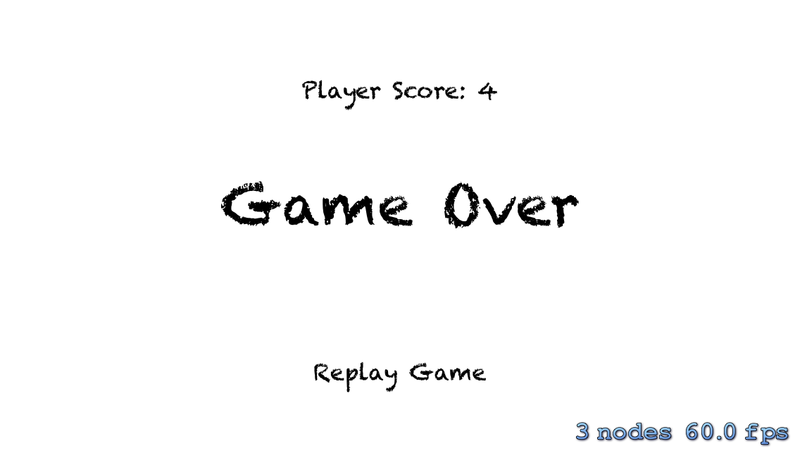 While I was just not looking for this particular example, you helped me with the Game Over screen as I was trying to create a “button” that would send the user back to the game. Thanks! the identifier “_dt” has been causing multiple breakpoints throughout the program. Is it a typo or an intended bug for us to solve? Any help would be great, thanks! Have you cloned the git repo or have followed the tutorial to make the game? hey there! nice tutorial! its written very easy to understand! im searching something like that but not to store with parse.. maybe with nsuserdefaults to store the info to the disk..can you even help me or write a new tutorial for this case? all the best for the future! Hi! Thanks! Saving scores in NSUSerDefault is not the right place to do it, as it is for saving information like login session, username etc things which persist. You should try saving it with CoreData instead. I will be writing a CoreData tutorial soon.